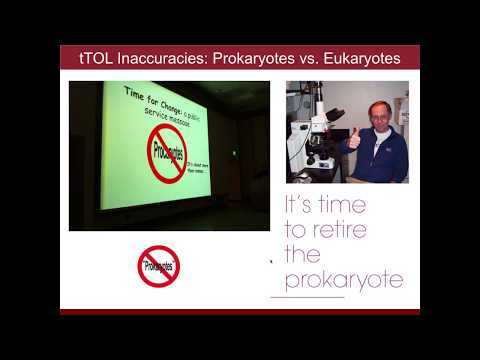 In light of what has become the largest Ebola outbreak on record, Science and Science Translational Medicine have compiled over a decade's worth of their published news and research. Researchers and the general public can now view this special collection for free. OK. More access is good. 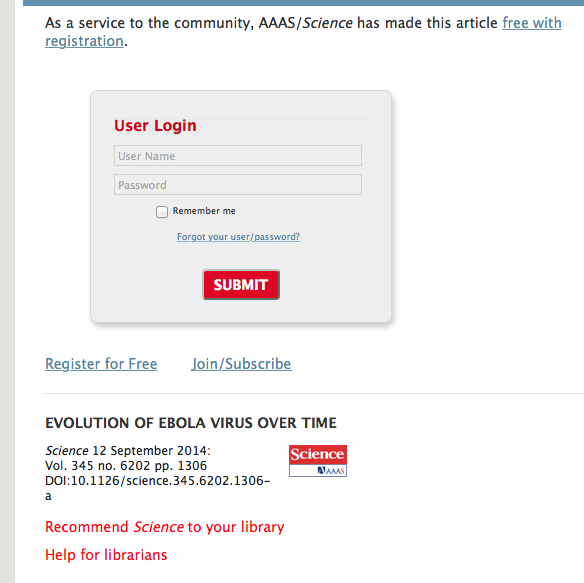 But alas, they did not even free up all papers in #AAAS journals with Ebola in the Title or Abstract. And then I started thinking. What about HIV? TB? Malaria? And as I started Tweeting about this, I saw that ASM also was hopping on the "free Ebola" bandwagon (actually I do not know who did it first). Great. And now the Lancet has joined the bandwagon. "The current outbreak of Ebola in west Africa constitutes the largest and most complex to date. Declared a public health emergency of international concern by WHO, the outbreak of a disease with no known treatment or vaccination is proving difficult to contain given the already fragile and under resourced health systems in the affected areas. 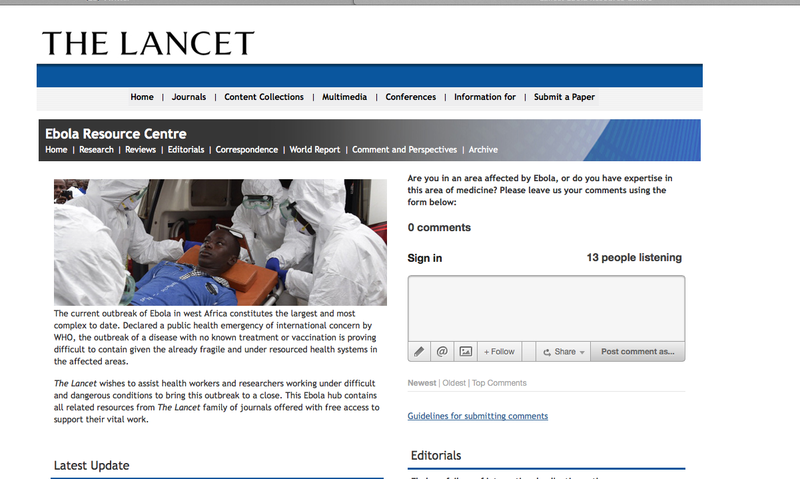 The Lancet wishes to assist health workers and researchers working under difficult and dangerous conditions to bring this outbreak to a close. 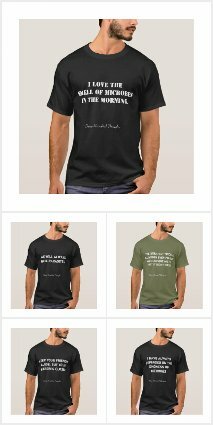 This Ebola hub contains all related resources from The Lancet family of journals offered with free access to support their vital work." Since they do not make papers available on TB, malaria, AIDS, cancer, etc does this mean people working on those are not doing vital work? 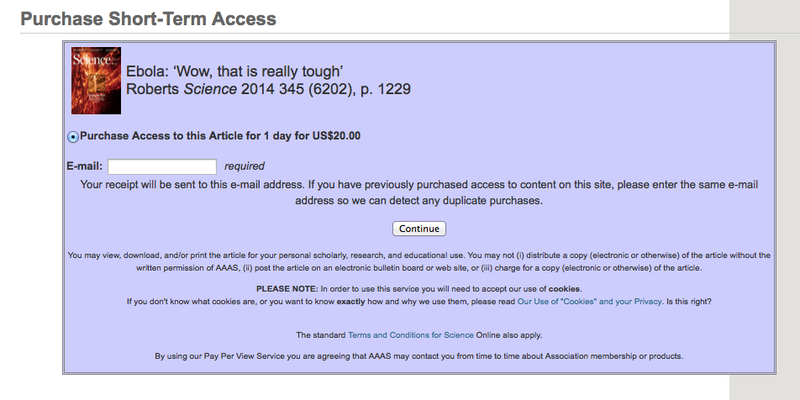 Wiley also trying to get some PR for making papers available. Oh look. ACS cares about Ebola too. They are making 18 papers available for free. How generous. Oh and only until February 2015. After then, they don't care about Ebola. Oh and before then, they apparently don't care about any other affliction affecting the world. 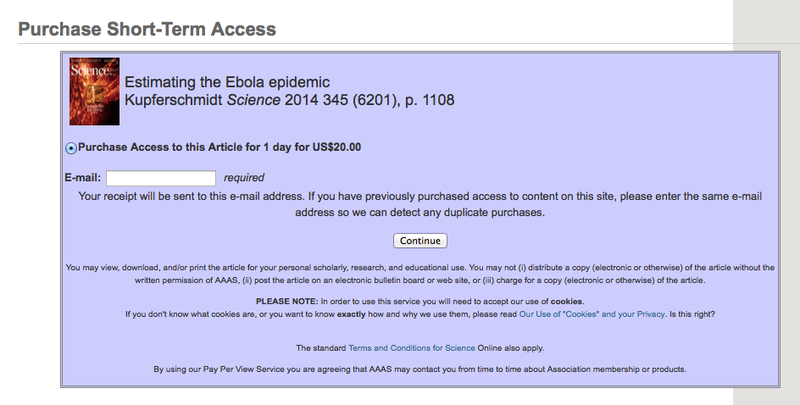 Ebola is the only thing important enough to make freely available. 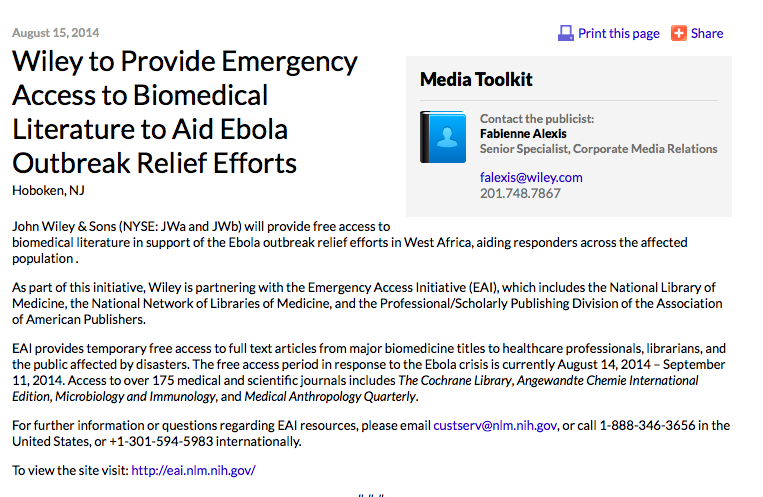 As the Ebola situation worsens, journals and publishers are still trying to get props for making certain papers freely available. For example, AAAS continues to do this - (see this news story here which ends with a statement about a collection of free ebola papers). Alas they are being sadly selective in what papers they make available. What a joke. 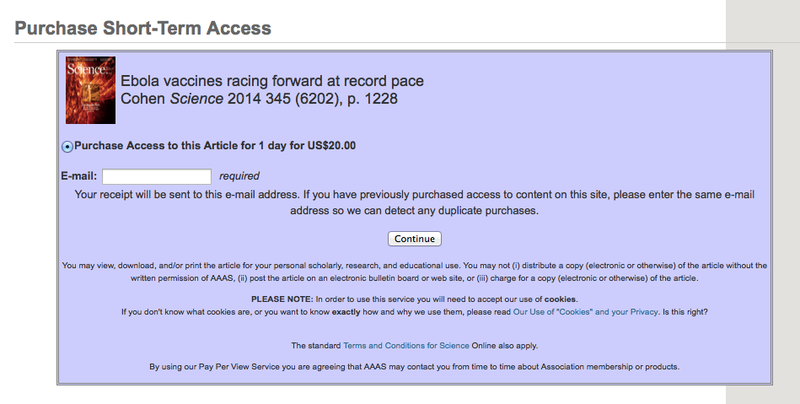 If #AAAS really cared about infectious diseases and human health and making papers available, they would stop being one of the most anti-open access publishers out there.